Happy Friday to you my friend! I hope you have been enjoying a very good week wherever you are. It has been quite a few weeks since I shared my last Friday Favorites post with you.....the holiday blogging season kind of consumed my time and while there were many bloggers that were inspiring me to want to share, there just wasn't time to put those posts together. But the winter is my time to regroup and catch my breath and so this weekly series is back. I've been excited this week to really get back into blogging, creating, and planning and even shared a few posts that have been many months in the making. In case you missed them, on Sunday, I was finally able to share the before tour of the fixer upper that I'll be working on. I've got so many ideas rolling around in my head about what to do with this property and can't see to settle on anything, but taking the first step of sharing the tour made it all feel a little more real and like it is finally happening! And I also created two different designs of some free pantry labels for you to accompany the spice jar labels that I shared in the past. All the links to both can be found in the post, as well as many more organizing printables that my blogging friends shared as part of the tour. Like myself, most bloggers tend to take the first couple weeks of the year getting a little rest from the holiday season as it is the busiest for us all. Everyone is slowly starting to pop back onto your screens with new ideas to share. Since there isn't a whole lot of new to choose from yet, a few of these things I'm sharing today as my Friday Favorites were from last year that I loved. If you have anything that you think reader's of anderson + grant would enjoy seeing, feel free to send me an email or a message on Facebook for a chance to possibly be featured in an upcoming post. These pictures are being shared with the permission of the talented bloggers who created them. As a courtesy those bloggers, please visit the links to their posts below to pin rather than pinning from here. Thank you! In case you don't follow Lucy from Craftberry Bush, let me be the first to say that she never ceases to amaze me with the creativity of the projects she creates. 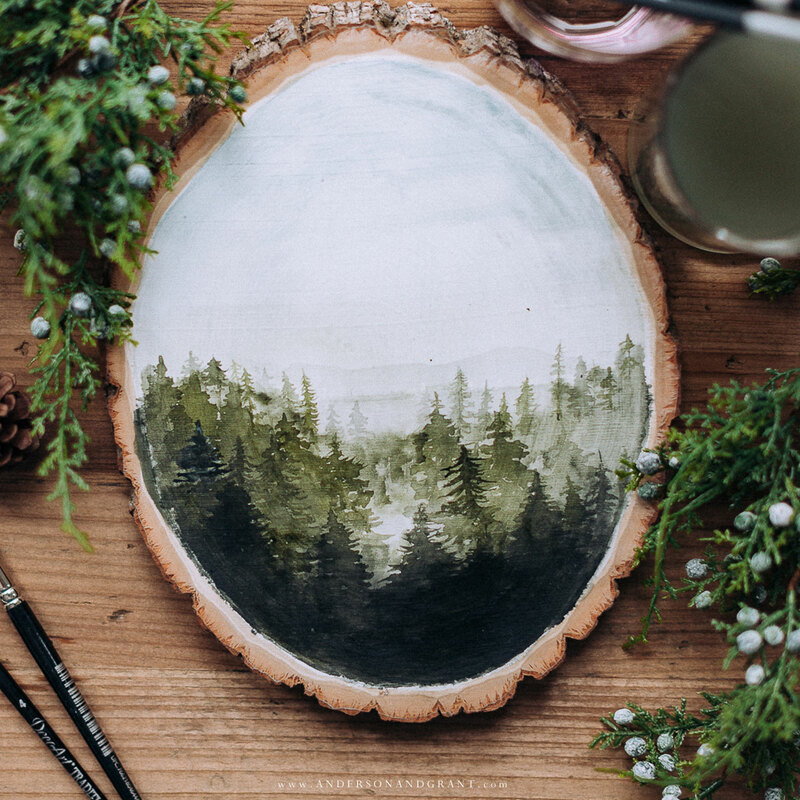 She recently posted this idea of a watercolor painting of evergreens done on a wood slab and even shared a video of how to do the project yourself. 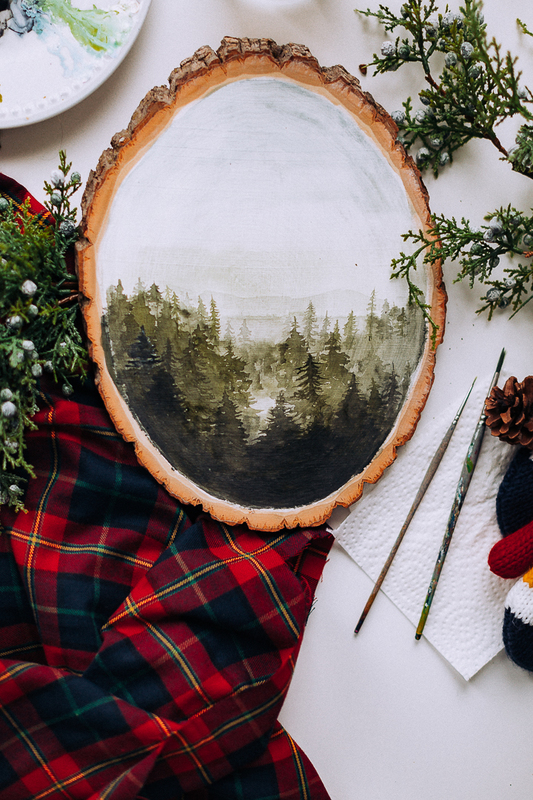 Wouldn't this look so pretty hung on the wall for winter? I am actively out there searching right now for simple decorating ideas and this mantel from Plum Pretty Decor & Design Co. is just what I love. After all the Christmas decor has come down, many of us are craving pretty simplicity and this fireplace shows that a few plants, mirror, and candlestick are enough to create a cozy space. 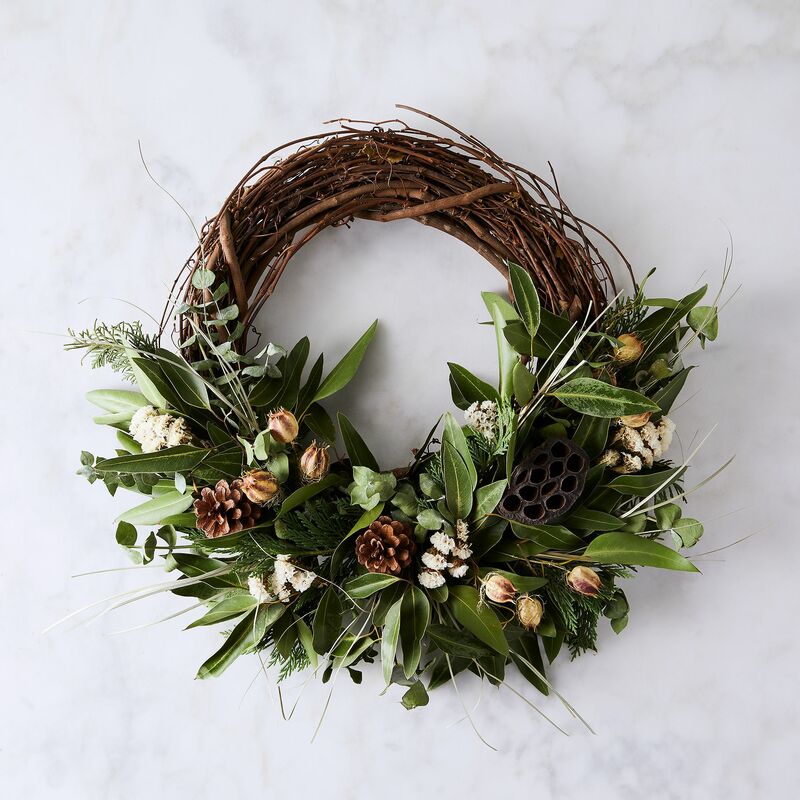 And while we're on the subject of decorating for winter, this handmade wreath would look so perfect hanging on the front door or over the mantel. It is made with fresh fir and eucalyptus so I imagine it smells about as good as it looks. I am a fan of chocolate AND any food that is presented in a beautiful way so this Triple Chocolate Ombre Cake from Also the Crumbs Please caught my eye the minute I saw it. My mouth waters just thinking about how delicious this must taste. | Have you been taking part in this Simplicity Challenge? 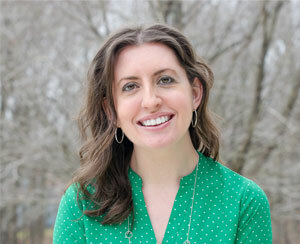 I am such a fan of Emily Ley and she always has the best tips for making life (seem) a little bit easier to handle. | I'm so happy the winter season has come back with some of my favorite shows....This Is Us, of course, and my new favorite this year has been the first season of A Million Little Things. I always love shows that keep my attention throughout the entire episode and this is definitely one of them. | If you've been searching for a little more power of positive thinking and believing in your dreams, then you must follow this Instagram account. I swear that she says exactly what I need to hear on the exact day I need to hear it. | If you like raspberries and blackberries, these candies are the most incredible thing ever. I picked them up at Home Goods last month and am now wondering when I can ever find them again.